Earn $38.50 in Rewards credit (3850 points) What's This? 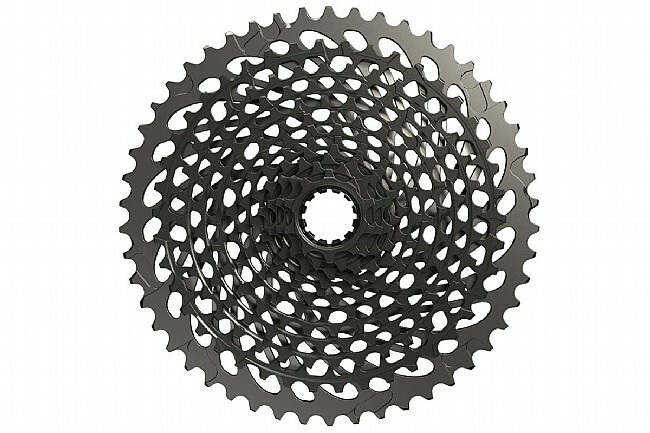 SRAM's Eagle XG-1295 cassette spans from 10T to 50T across its 12 cogs for a massive 500% gear range. SRAM's X-Dome™ construction uses a one-piece 11-cog cluster machined from a solid block of chromoly steel for unrivaled durability, lightness, and mud-shedding. The 50-tooth alloy cog is pinned to the main body to shave weight, and all gears feature X-Glide™ 2 profiles for improved chain retention and shifting, as well as providing a quieter ride.